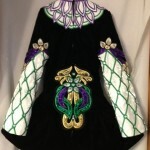 Brand new black velvet dress with appliques in Kelly green, purple and gold sequins. 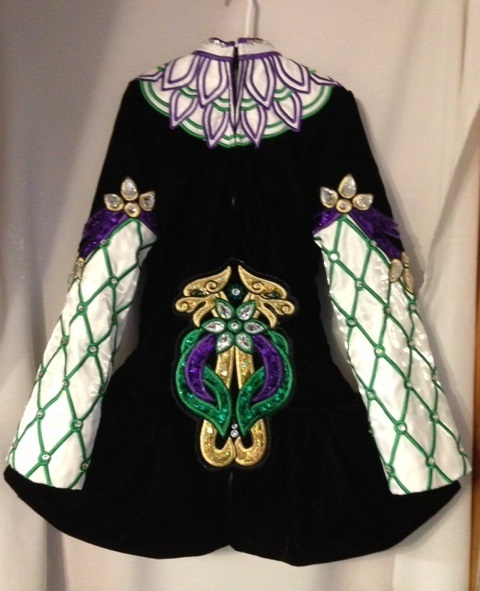 Sleeve and neckline white twinkle satin with matching green and purple embroidery. 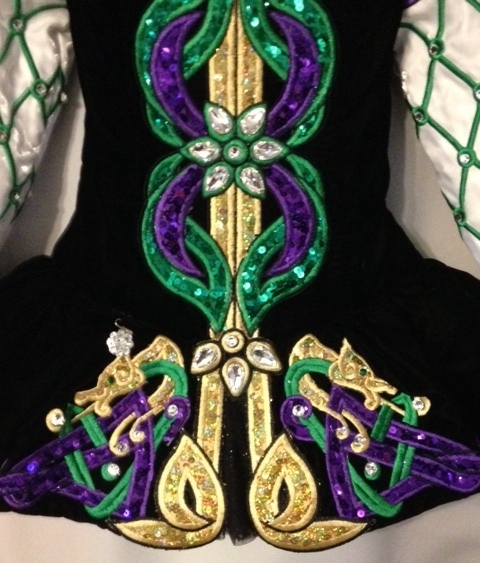 Underskirt is black glitter tulling with gold underskirt and gold bloomers. 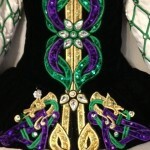 Also includes matching flower headpiece and hanger. 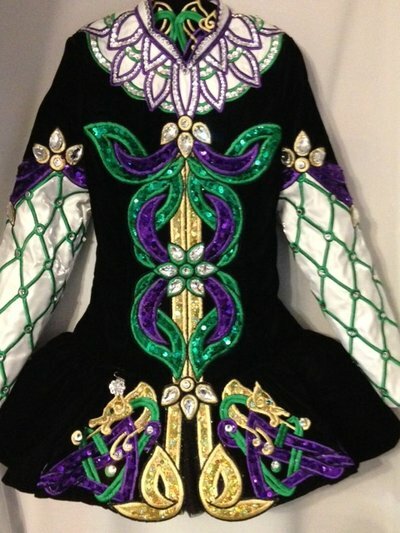 Embellished with large pearshape Swarovski crystals. Asking Price: $US1450.00. Shipping costs are included for my own country, overseas shipping is extra. Returns are negotiable.